I have three things to share with you today. 1. Last semester, a film class at UNCW offered to make book trailers for some of our works-in-progress. Anyone in the class could submit a writing sample and a synoposis, and the students broke up into groups and chose which projects they wanted to take on. My book was one of three chosen, and yesterday I finally saw the trailer. It's just a minute long, and you can view it here. Go ahead. I'll wait. I love it! I think they did a great job capturing the mood and feeling of the book, and the ominous sound of bees in the background is perfect. My only criticism is that the main character, Kate, is in her early thirties, and the actress they chose to play her is clearly much older. Then again, as my friend Lucy stated so eloquently, "That's just what college students think 34 year olds look like." Well played, college students. Yes, my MFA mentors were skilled writers generous with their wisdom, but even more, they showed me, in their various creative ways, how to build a writing life—especially in a culture that rewards very few writers financially and that offers constant, bombarding distraction. 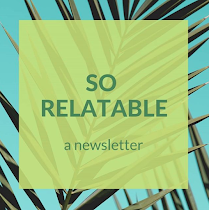 They modeled how to make a living, prioritize writing, navigate the demands of family and friends, and manage emotions around success and failure. The typical MFA program may not birth genius, but the students improve. And aren’t we all better off when people pursue their passions, when chefs, mechanics, surgeons, parents or musicians are happier and more skilled? Also, I believe what when we struggle with our writing, regardless of the final results, we think more clearly and understand more deeply—and our communities improve when any of us does work that loosens our hearts and defogs our brains. 3. 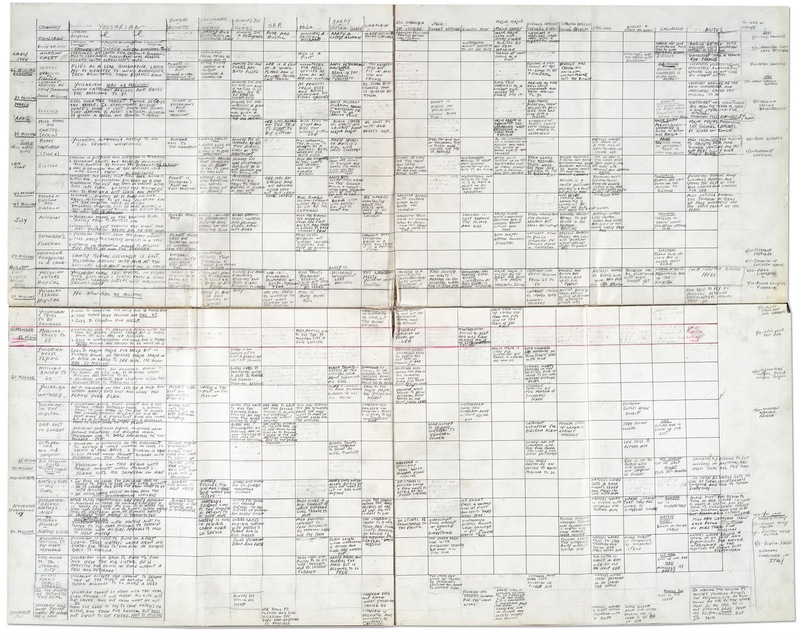 I loved looking at the outlines some famous writers used when composing their books. I realized I needed an outline about 100 pages in, which subsequently caused me to reorganize, rewrite, and trash about 75 of those pages. Oops. My outline is just a simple word document, with bullet points listing what happens in each chapter. I edit it as I go, because I discover something new about the story every time I sit down to write, and things are always shifting and changing. Even though I'm a minimalist when it comes to outlining, I'm still fascinated by the intricate ways other writers organize themselves. 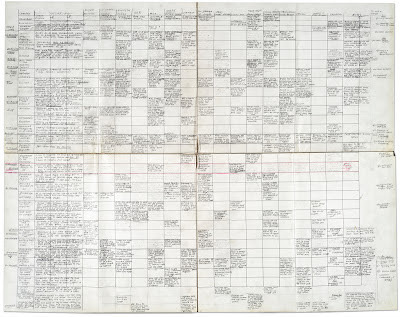 The outline for Catch-22 is probably my favorite. Any writing news to share? Updates on your creative projects? Good essays or links that I should read? Feel free to share them in the comments!